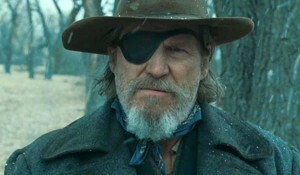 True Grit is undeniably brilliant, but I didn’t love it. It’s a very good movie, better than most things you’ve seen this year and completely worthy of your time and money. But considering the talent in front of the camera and behind it, considering the themes on display and the moments of genius that burst through, it could have been a masterpiece. And it misses the mark. After a pretty spectacular opening scene, I was hopeful that Clint Eastwood‘s highly anticipated film, Hereafter, with a script by Peter Morgan, was going to be something special. Then it became evident that the setup is a triptych, which is really hard to weave together into a coherant story without it feeling enormously contrived. Unfortunately, the conceit of the film just never pays off in a satisfying way. Our trio of tales kicks off with Marie (Cécile De France), a French television personality on vacation with her boyfriend when she’s caught in a devastating tsunami, nearly dies, and is brought back to life. Marie’s near-death experience has a profound effect on her, and when she returns home she finds she can’t focus on anything but researching and writing about her experience; her obsession with death and the afterlife quickly isolates her from her friends and colleagues and threatens her career. The second parallel tale concerns George (Matt Damon), a blue-collar warehouse worker who’s hiding out from a gift — an ability to touch a person and connect with their dead family members. After previously making money off his talent at the encouragement of his brother, who seeks to profit from his talent, George has retreated from the world, a lonely, isolated man whose gift has become a curse that keeps him from having relationships with others. He signs up for a cooking class, desperate for companionship, and there meets a charming woman (Bryce Dallas Howard) with whom he feels he might be able to connect for the first time in his adult life. But when she learns of his gift, it threatens the tentative connection they’re building. The third of our three stories concerns Marcus (Frankie McLaren) and Jason (George McLaren), twin brothers in England whose mum is addicted to heroin. When tragedy strikes, Jason seeks desperately to find answers about what happens after death, a path that ultimately leads him to George’s old website, which was never taken down. The thing is, each of these stories on their own — or even George’s story in sync with just one of the others, would probably have made for a much tighter story. Individually as meditations on both the affect on the living when they lose someone they love, and the questions raised when a person is technically dead (or at least, very near death), and then brought back to life, are certainly something many of us ponder when we’re not too busy running around in our lives to pause and consider that every day we run full speed ahead is just bringing us another day closer to the end. George’s part of the story, in particular, is quite well-written and Damon, as a man gifted with a rare talent that nonetheless serves to isolate him from the world around him, turns in a strong performance. Howard, in the brief time she’s a part of his story, is a powerful and emotional force. De France is also very good, and her journey fairly engaging. The trouble is that after being fairly interesting for its first 2/3 or so as we catch up with the individual tales, the necessity to bring everything together causes a serious nosedive into the realm of unwieldy contrivance that forces the characters to converge for the inevitable sappy ending. I stayed with it for quite a while … until a moment that smacks you upside the head with exactly where the film is going. 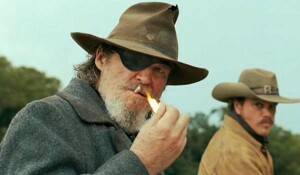 Then I hoped against hope that Eastwood and Morgan really weren’t going to be as obvious as all that – surely they weren’t! But they were. The thing is, I don’t have an issue with Eastwood exploring ideas of what happens after death; as a spiritual person I find those kinds of meditations interesting, and after all, most religion is built around the need for humans to derive some sense of comfort in thinking we have an answer to what happens to us once we depart this life. The need to believe we don’t just cease to exist, like the flame of a candle blown out, is very strong, and with a bit less contrivance this could have been a better meditation on the subject. Unfortunately, while there are interesting ideas here, and some solid performances in the film, the sum of the parts just never adds up to a deeply satisfying whole. Bummer. Frenzy on the Wall: Who’s the Biggest Star in the World (Right Now)? William Goldman is one of the greatest screenwriters of all-time, but he was also a fantastic essayist and one of the most insightful minds when it came to writing about films. His collection of essays, The Big Picture, has been read so many times by me that the pages are starting to break free from the binding. But one of the questions he came back to was: who is the biggest star in the world right now? Almost every year during the ’90s, he tried his best to answer that very question. For whatever reason, Goldman’s not writing (or at least not publishing) his essays about film and I decided that I would try to answer the question as we wind down the year 2010. Just like Goldman, I won’t use a ton of numbers or charts and graphs, but I’ll present my evidence as best as I can. Last year, I think the answer would have been a bit easier. James Cameron was clearly the biggest star in the world in 2009 and it wasn’t even close. The man released his first film in twelve years and just happened to make a movie that broke every box office record imaginable. It is now clear that any year in which Cameron releases a film, he will be the biggest star in that year. One could make a case that he’s the biggest star of this current year since Avatar raked in most of its dough after the calendar flipped to 2010, but by the time this year ends, I don’t think he’ll still be on anyone’s mind. As for those in front of the camera, it would be easy to name folks like George Clooney or Brad Pitt. Up in the Air and Inglourious Basterds were hits both critically and commercially and it’s reasonable to expect every film to which one of these handsome men is attached will at least make its money back. People will go to the movies specifically because they hear the names “Clooney” or “Pitt” and that’s becoming increasingly rarer. If you need evidence of this, check out this weekend’s grosses for The American. It was the number one film of the weekend, despite the fact that Clooney was the only actor anybody heard of and despite the fact that it’s a deliberately-paced film that most American audiences would usually find dull. I doubt it’ll have strong legs next weekend, when word of mouth spreads, but the bottom line is that Clooney put butts in seats this weekend. Audiences in this country feel comfortable with Pitt and Clooney, that they will deliver the goods in projects that are worthy of their time and money. Johnny Depp might want in on this conversation. I personally think he’s fading as an actor I trust, but Alice in Wonderland still made a ton of money. 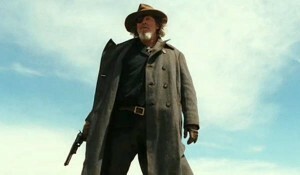 Although, I don’t know how much if it is Depp and how much of it is Burton and how much of it is the recognizable brand. Depp certainly didn’t help Imaginarium of Doctor Parnassus get seen by very many people, and while Public Enemies did okay, it didn’t do as well as expected in a cushy Independence Day slot. The Tourist will be a good test for him, where he’s paired with one of the top female stars out there. Speaking of Angelina Jolie, could she be the biggest star in the world? She’s certainly one of the most recognizable faces, gracing the covers of magazines on newsstands around the globe. She was the only major draw in Salt and that film has grossed over a hundred million dollars at the box office. Jolie and action is a formula for success, as she had already proved with Wanted. Unfortunately, put her in a serious drama – even one she’s excellent in, like Changeling – and audiences turn away. Speaking of Clint Eastwood, I must make mention of him because I think he was on William Goldman’s list every single year he made it. And the weird thing is that you could probably still put him somewhere on the list. The guy has been a commodity for about forty years already and has shown no signs of slowing, releasing a film every single year. When he actually gets in front of the camera, (a rare sight these days) people tend to show up, even if it’s something as dumb as Gran Torino. Box office gross of the aforementioned film: nearly 150 million bucks and Eastwood was the only draw. Dude is nearly eighty and he still gets audiences to come out. 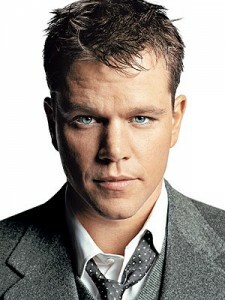 His next film, Hereafter, reunites him with Invictus star Matt Damon and comes out in the fall. 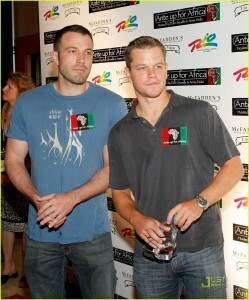 Matt Damon, you say? Why yes, I did. I’d love to put him somewhere on this list, but the truth of the matter is that while he’s a recognizable face and name and he gives any film he stars in the air of respectability…he’s not quite in the running for biggest movie star status. The Bourne films were cash-cows, of course, but the truth of the matter is that he’s too much of a damned artist to be a movie star. He’s the kind of guy who gains forty pounds to star in a Soderbergh film, the kind of guy who brings subtlety to his pitch-perfect performance in The Good Shepherd (one of my favorite performances of the last twenty years). He’s the kind of guy who will take time out of his schedule to film cameos in Soderbergh’s Che or Coppola’s Youth Without Youth. He doesn’t seem especially motivated by money or fame; instead it seems his one big desire is to work with as many great directors as possible. The guy has worked with Scorsese, Coppola, Soderbergh, Minghella, Van Sant, Gilliam, Redford, Eastwood, and has a film coming up with the Coen Brothers. He might be one of the finest popular actors of his generation, but he’s not one of its biggest movie stars. Damon also worked with Steven Spielberg on Saving Private Ryan and Spielberg used to be a staple on this list. You could always put him on it because he’s easily the most famous film director in the history of motion pictures. If you ask any bozo off the street to name a film director, they’ll definitely be able to mention Steven Spielberg. Unfortunately the man hasn’t released a film since Munich (What Indiana Jones film? I keep telling you, it doesn’t exist!). He’s got a couple of projects on the horizon, including War Horse and Tintin, but I can’t put him anywhere near the top until he finally makes that damned Abraham Lincoln movie. Or, you know, if War Horse is brilliant and makes a ton of money. But he deserves a place on this list, even as just a producer. Hell, every Transformers movie is a gigantic hit and he’s one of the men responsible for it. How about the star of that hit franchise? No, not Michael Bay or Optimus Prime, but Shia LaBeouf. He’s only 24 years old and he’s the lead actor in a franchise that has grossed a kajillion dollars (he was also in that Spielberg movie that doesn’t exist and grossed a lot of money). But, come on, we know people weren’t going to the theater for a chance to see LaBeouf. And while Disturbia was a decent-sized hit, Eagle Eye was a disappointment. We’ll see how he does with the Wall Street sequel, but even if it’s a huge success, it probably won’t be due to him. He might be the biggest star in the world in five to ten years, but he’s not there yet. There’s no natural transition to this one, so I’m going to try not to snap my neck with this segue: Will Smith! What about Big Willie? He’s still getting jiggy with audiences, whether it’s in the atrocious Hancock or the even more atrocious Seven Pounds. It’s actually an amazing testament to his star power that the latter film managed to gross seventy million dollars, despite its subject matter. I mean, that’s not an easy film to sell and basically they marketed it as “Will Smith…in a movie!” Nobody had any clue what it was about, but the promise of Will Smith drew people in. That’s pretty impressive. But he’s been absent from screens for two years now and Men in Black III isn’t coming out until 2012, so he’s taking a break from his throne. No, Jaden Smith isn’t where I’m going next. I don’t know who to blame or praise for the success of Twilight, so I can’t really put any of those kids or filmmakers on here. I’ll chalk that one up to “phenomenon” and move on. Same goes for the much better Harry Potter films. Leonardo DiCaprio? He’s the star of one of the most talked-about movies of the year, Inception, which will end up with around 300 million bucks in the bank. Not too shabby. He’s also Scorsese’s favorite actor and DiCaprio has helped turn Scorsese into a legitimate box office favorite. Or maybe it was the other way around? Unfortunately, he couldn’t help turn Revolutionary Road or Body of Lies into hits. In the right project, DiCaprio is gold. And Inception might have been more about Christopher Nolan than DiCaprio. I think his turn as the title character in Eastwood’s J. Edgar Hoover biopic will probably garner some awards buzz, but we’ll see if he can take it to the top of the box office. Adam Sandler was the answer to this question for a while. But that was back when his movies cost nothing to make and grossed insane sums of money. Now the movies cost more, he costs more and he can’t even guarantee a hit when he’s working with Judd Apatow. Grown Ups grossed about $160 million, but it definitely cost quite a bit to make and market. He’s near the top of the list, but it seems he’s veering closer towards modern-day Eddie Murphy family-movie territory. And that’s a hit or miss world to live in. Okay, enough beating around the bush, the answer to the biggest movie star in the world? Well, who could it be other than Sandra Bullock? She’s gracing the cover of Entertainment Weekly this week despite the fact that she’s got nothing to promote and she wasn’t even interviewed. She starred in two massive hits last year, got an Oscar and could get anything greenlit immediately. She was the star of 2009 and is the biggest movie star to grace a cinema screen right now. Name me another company, actor, director, etc. in the history of cinema that has never made a film that bombed either critically or commercially. You can’t do it. (Okay, maybe John Cazale?) Every year, Pixar releases a film that grosses a ton of money and tops critics lists. This year, they put out Toy Story 3 and it grossed over 400 million dollars. I don’t think any movie star on the planet can guarantee you half that. Well, except for Pixar. I’m putting the over/under on the next five Pixar releases at 250 million and I’ll take the over. I’ll win every time. Without a doubt, the biggest movie star in the world is Pixar. And it’s not even close. I was surfing through the channels earlier and I saw that Steven Soderbergh’s The Informant! was on, so I decided to watch a few minutes. I wound up watching about an hour of the movie because I got so wrapped up in Matt Damon’s lead performance. I’ve long felt that Damon was one of the best young actors we have, but he just keeps getting better. What he does in The Informant! has such a high degree of difficulty. The tone of the performance is so perfectly calculated and one wrong note could throw the whole thing off. But the point is that Damon was nominated for an Oscar last year…for Invictus. I mean, Damon is fine in that movie and does a convincing South African accent, but I don’t understand how 1) that was only his second acting nomination and the first since Good Will Hunting and 2) that he was shut out for The Informant!. It is astounding to me that Damon’s work in The Talented Mr. Ripley, Rounders, The Departed, and The Good Shepherd all went unrecognized by the Academy. This year, though, I just don’t see how Colin Firth (A Single Man) and Morgan Freeman (Invictus) got nominated ahead of Damon’s masterful performance. Damon is objectively better than those two and he’s better than George Clooney in Up in the Air (although I don’t begrudge that nomination). 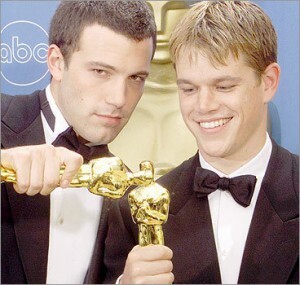 It almost seems to me that either there is a conspiracy against nominating Matt Damon in the acting categories or the majority of the Academy is stupid (the more likely explanation). 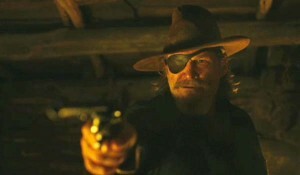 Damon should have three films coming out before the end of the year: True Grit, Hereafter, and The Adjustment Bureau. That’s three chances for the Academy to screw up.